Razer's first foray into the wearable tech market was originally set to launch in March but got postponed so the company could conduct extra testing in the wake of Fitbit's widely publicized skin irritation problems. After missing another tentative launch window in late May or early June, Razer has announced the Nabu is finally set for a US release on December 2nd. So what's the wearable actually capable of? For starters, it's an activity tracker which logs data like calories burned, steps taken, distance travelled and other neat tidbits of information. Additionally, the Nabu is optimized for social interactions and displays notifications from Facebook, Twitter, Skype and other networks when paired with a compatible Android 4.3, iPhone 5 or later device. The Nabu is available for pre-order until November 30th through the Razer Insider program at $79.99, a $20 discount from the regular retail price. The company noted that stock will be limited to 5,000 at launch so if you're after Razer's smartband it'd be wise to put in your order early. The device comes in a number of color options including green, white, orange and black whilst supporting small-medium and medium-large wrist sizes. Unfortunately, on launch the only color in stock will be the black version, which is a little disappointing. 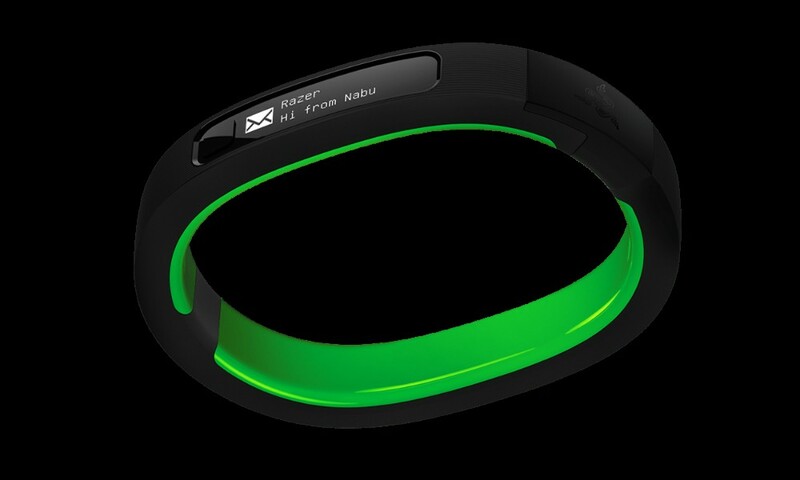 From December 2nd, the Nabu will be sold for $99 from the official Razer store and should be appearing in retailers fairly soon.